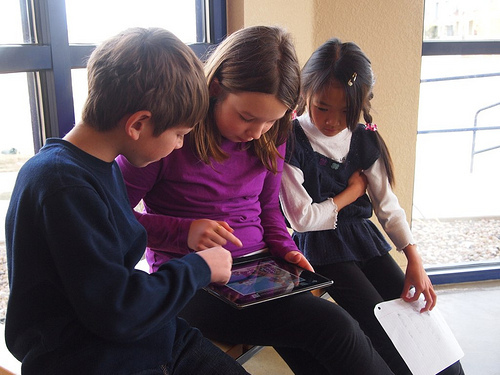 No longer relegated to experimental programs, digital games are becoming much more commonly used in classrooms across the country, according to a survey by the Joan Ganz Cooney Center released today. Half of the 505 K-8 teachers surveyed said they use digital games with their students two or more days a week, and 18 percent use them daily. 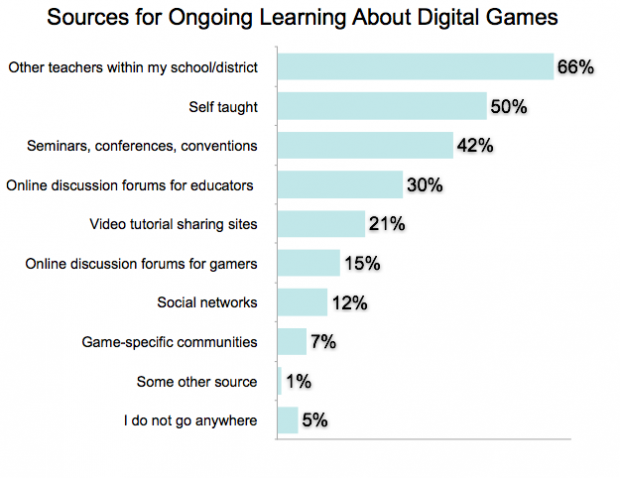 Nearly 70 percent said that "lower-performing students engage more with subject content with use of digital games." Three-fifths reported "increased attention to specific tasks and improved collaborations among all students." Sixty percent said using digital games "helps personalize instruction and better assess student knowledge and learning." Though most use Apple or PC computers, 25 percent said their students use iPads or tablet computers, and less than 10 percent use other mobile devices or video game consoles. 62% said games make it easier to level lessons and effectively teach the range of learners in their class. Teachers mostly used literacy (50 percent) and math (35 percent) games in class, and said the games' alignment with Common Core State Standards was the most valuable quality, the study showed. Teachers said that the cost of digital games was the primary obstacle to integrating them into class. But only 17% of those surveyed said the school spent $100 or more on games, and 40 percent were not sure. Lack of access to technology resources and emphasis on preparing for standardized testing were also listed as obstacles. The majority of teachers surveyed taught K-5, and 86 percent teach in public schools -- 60 percent of which are Title I schools. What's more, 80 percent of teachers surveyed have been teaching for at least five years, and 20 percent have been teaching for more than 25 years. Researchers of the study conclude that teachers need to be trained on how best to use these digital games -- not just those who are unfamiliar with them, but even those who feel they're moderately comfortable with using games. The online survey, conducted last month by VeraQuest, sampled 505 school teachers who taught kindergarten through eighth grade in the U.S., and was meant to investigate what teachers think about digital games and how games impact students beyond academic achievement. Teachers were randomly selected from a targeted panel of K-8 grade classrooms that are "generally proportional of the demographic strata of total U.S. teachers," according to the news announcement. The survey also included a series of videos featuring case studies that can be viewed here. The Teacher Attitudes about Digital Games in the Classroom survey is part of research conducted by the Games and Learning Publishing Council, convened by the Cooney Center and E-Line Media, and funded by the Bill & Melinda Gates Foundation, and the John S. and James L. Knight Foundation. The survey also received additional support from BrainPOP, which creates games for classrooms.